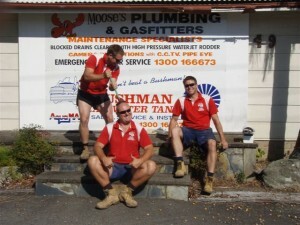 Mooses Plumbing and Gasfitting Services is a professional plumbing company that services between Tweed Heads and Yamba. Mooses Plumbing is a local family business that has been in operation for 20 years in this region. We are fully licensed plumbers, drainers and gasfitters, and roofing contractors in New South Wales. We are shovel ready, work, and occupational health & safety compliant. We specialize in emergency 24 hour services 7 days a week in all aspects of plumbing maintenance from leaking taps and toilets, to burst hot water units through to blocked drains and burst water pipes. We also provide leak detection services. 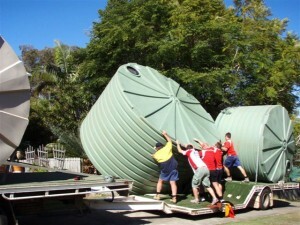 Mooses Plumbing is the Tweed Coast Agents for Bushman & Supa tank, rainwater tanks – Sales, Service and Installations. Arcorp / Artema, Paco Jaanson & Vista Sanitry, and Tapware. Mooses Plumbing and Gasfitting Services are proud sponsors of the Kamilaroi Equestrian club, Greenmount and Iluka board riders club and help with a number of other community groups and projects. We are members of the HIA (housing industry association) and green plumbers Australia. 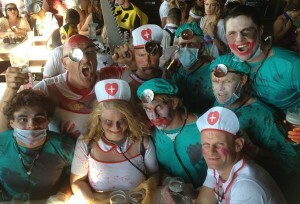 We have the latest updated training skills. On hot water systems Australian Agents for Aussie Anodes and Gold/Tweed Coast Anodes find out more here. Magnesium & Allminium solid and flexible anodes. For use in most hotwater units – Caravans – Mobile homes airconditioning towers and marine industry. For general water conditions and hard or bore water as well. Australia wide agents, distributers and franchisees wanted contact us now.